This Event has been read: 501 times. "By making this wine vine known to the public, I have rendered my country as great a service as if I had enabled it to pay back the national debt." Another great quote from the nation’s first wine collector and I’m just fresh back from my trip to Napa Valley for the premier tasting featuring the next great vintage from Napa Valley 2017 which looks to be another outstanding year for California’s most expensive dirt. 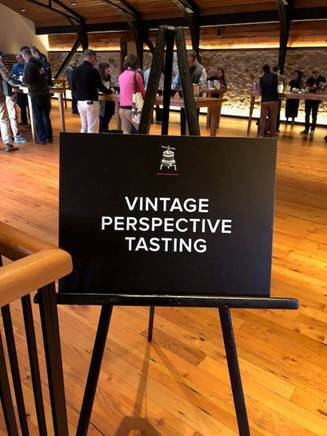 The Vintage Perspective Tasting hosted by Freemark Abbey Winery was one of the best events for me as they showed the Premier Napa lots offered by a dozen or so wineries from the 2014, 2015 and 2016 vintages. At this tasting it was clear to me that the 2016 vintage was the best of these three with 2015 close behind and although 2014 was markedly lighter in overall concentration it was balanced and still offers up a lot of nice wines. That’s why I placed all the 2016 vintage wines from Napa at the end of this offering. The auction at Premier Napa Valley this year taking in some big dollar lots like the 20 case 2017 vintage lot offered by Silver Oak Winery that wend for $140,000! That’s $583.33 per bottle!! Total Wine was the high bidder on that one…that’s a lot of overpriced Silver Oak that will be on the shelf at a Total Wine near you in a year or so. The 2017 Schrader Cabernet Sauvignon Premier Napa lot sold for $80,000, which is less than the Silver Oak but there were only 60 bottles in this lot making it the most expensive per bottle lot this year at $1333.33/btl. This makes the 2016 Schrader Double Diamond that we offered a few weeks ago look like a steal at $57 per bottle! We still have a few cases!! 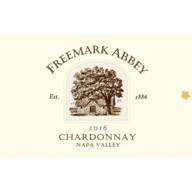 One of my favorite 2017 Premier Napa lots offered was from Freemark Abbey winery and that is where you need to look to find the best value in Napa Valley. Names like Freemark Abbey get forgotten about with the 2000+ new wines that have emerged since they were founded in 1967. I was excited to meet Ted at the tasting and let him know that I set aside a few older wines we have in the store to show at this tasting. Tonight we have winemaker Ted Edward in town to showcase the new releases including some older releases some coming direct from the winery and others from our cellar here at Wine Watch. Chef Toni Lampasone will be making a few small courses to accompany the tasting wines. This tasting is limited to 16 tasters and the fee for this event is $125 + tax, for reservations call 954-523-9463 or e-mail andy@winewatch.com. Light greenish straw in color, our chardonnay expresses fruit aroma of ripe pineapple, ripe banana, guava, apricot, peach and tropical fruit cocktail. Adding to the complexity, the oak aging is fairly integrated adding spice like nutmeg, light toast, and the nuance of angel food cake. This wine has great viscosity, depth and an intriguing long finish. The flavors are lively on the palate with pear, citrus, lemonlime, green apple and fleshy peach. This wine shows great complexity, creaminess, and elegance to compliment many foods. This 20-year-old single vineyard Cabernet Sauvignon is from the famous Bosche Vineyard and came directly from the winery cellars. Another one of the gems here at Wine Watch in the cellar and I have never tasted this wine so when I heard that Ted was coming, I set this bottle aside for this special night. The other famous single vineyard wine that we acquired direct from the cellars at Freemark Abbey. This wine is a ten-year-old and we still have some of this available!! 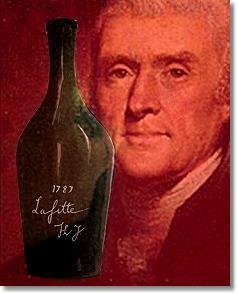 Into every bottle of wine made by a vintner of the Old School went a little bit of himself. It was believed that the quality of a man’s wine depended of his own quality and character. To gain lasting fame as a wine grower, a vintner had to be a poet, a philosopher and an honorable man, as well as a master craftsman.” This short poem is the epitome of the character of Charles Albert Carpy, the late founder and managing partner of Freemark Abbey. His daughter, Catherine Carpy found this typewritten poem on a piece of rice paper while organizing his files shortly after his death. Charles was a throw back from an era when Napa Valley was made up of farmers like himself. These tractor driving, flannel shirt wearing folks had the business savvy to invest in vineyards long before the Ferrari driving CEO’s and multimillionaires invaded Napa. The Carpy’s roots were planted deep in Napa Valley long before Charles II, became a partner in the new Freemark Abbey. His grandfather, Charles Carpy I, came to Napa from Bordeaux soon after the Civil War; he first owned Uncle Sam Cellars in Napa then Greystone Cellars (now Christian Brothers). Young Chuck Carpy went to St. Helena High School and lived in the same house that he grew up, in St. Helena, his entire life. “I’ve never really called any other place home”, said Carpy of the Spanish styled house which stands in a grove of palm trees near the Beringer and Christian Brothers wineries. Not only does the Carpy family have a pretty amazing history in the valley, but so does the winery and vineyard land that they source much of their grape supply from. There are records of vines and wine from the winery property that date back to 1875, when a retired sea captain, William J. Sayward, began developing 26 acres of vines. Sayward had a very short history at the property as he sold it only six years later to a Danish immigrant named John Tychson. The sickly Tychson survived only four years, but his wife Josephine carried through with the plans to build the Tychson Winery. She very well could have been the very first woman to build a winery during the 19th century. Her first crush was 1886. Josephine also had a very short tenure at this property as eight years later Phylloxera forced her to sell. The next proprietor, Anton Forni, founded Lombarda Cellars. He was responsible for building the traditional stone building that now houses Freemark Abbey’s ultra modern winery. Prohibition drove Forni out of business, and the property was passed on to a few non-winemaking owners. In 1939, the building was purchased by Albert Ahern who founded the first Freemark Abbey with two partners. (Ahern was nicknamed Abbey; his partners were Charles Freeman and Mark Foster, whence the name.) 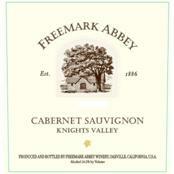 The original Freemark Abbey fell idle during a long slump in wine sales that lasted through the 1950’s. In March of 1967 Carpy and a handfull of other partners each put down $250,000 as start-up capital for the winery. Ten years before the winery was founded Charles had completed his degree in agricultural economics at the University of California at Davis. In 1961, he and his sister invested in 115 acres in Rutherford east of the Napa River. This area became known as the Carpy Ranch and a few years later the opportunity to start a winery was like a dream come true for Charles as he explains, “I guess I just wanted to be a farmer”. Today, all of the parties are still involved in the winery and the blend of old school and new school philosophies has probably made the company stronger and more versatile. For the last thirty years this winery has been a pinnacle of consistency. They have always preferred stainless fermentation for their whites, to place the emphasis on the freshness and the fruitiness of the Chardonnay grape. The red wines, particularly the single vineyard Cabernets, have been criticized by some as being hard and tannic, but the wines have proven over the years that they just need a little time to mellow and are actually some of the latest wines released of the vintage. This extra bottle age gives the tannins a little time to mellow out before the wine reaches the consumer. 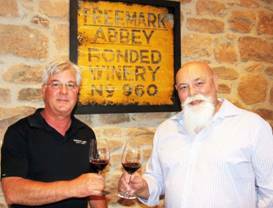 Freemark Abbey focuses on four varietals; Chardonnay, Johannisberg Riesling, Merlot and Cabernet Sauvignon. The Cabernet Sauvignon has three separate bottlings, each expressing slightly different characteristics. The “Boschè” Vineyard, located in the heart of Rutherford, which is renown for its understated elegance, worldly complexity and amazing longevity. For years the fruit for this monster style Cabernet had been sold to Beaulieu Vineyards to contribute to its Private Reserve wines, but in 1968 Boschè contacted Chuck Carpy about buying his grapes and the rest is history. 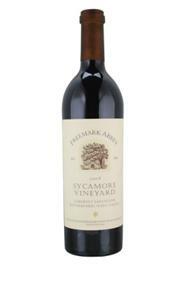 The newest addition to the Cabernet portfolio is the vineyard designated wine from the Sycamore Vineyard. This prime piece of Cabernet property in Oakville is owned by partner John Bryan. Both of these wines have the potential to compete with some of the best wines being made in Napa Valley. The 1992 & 1993 vintages of the Boschè Cabernet were both Spectator Selections, and received scores of (93) & (92) respectively in The Wine Spectator. 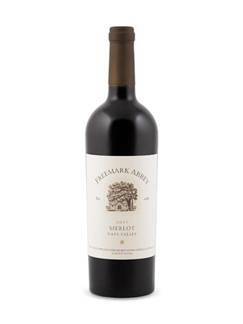 A permanent addition to the line-up is the Napa Valley Merlot. In 1991 this wine was added and has garnered much praise for its soft rich texture and rich berry fruit. For many years the winery produced only one style of Chardonnay, it was fermented in stainless steel and was admired by those who worship a fresh and fruity style of white wine with good acidity at the end. After much coaxing, a Barrel fermented Chardonnay was added to the line. Carpy had serious misgivings about this change in style, a staunch believer in the old adage- “if it ain’t broke don’t fix it”. The new Chardonnay became known as “Carpy Ranch” and about 600 cases were produced of the 1988 introductory vintage. Freemark Abbey also makes an excellent Johannisberg Riesling similar to a Kabinett Style German wine. Whenever Mother Nature permits they make an exceptional late-harvest Riesling called Edelwein Gold. Today, Freemark Abbey is part of the late Jess Jackson empire and one thing is for sure whenever this group acquires a property they go nowhere but upo in quality. It may take a few years to get Freemark Abbey back to its glory days of the past but there are good things on the horizon again at this historic property.